Moving on to today’s recipe. 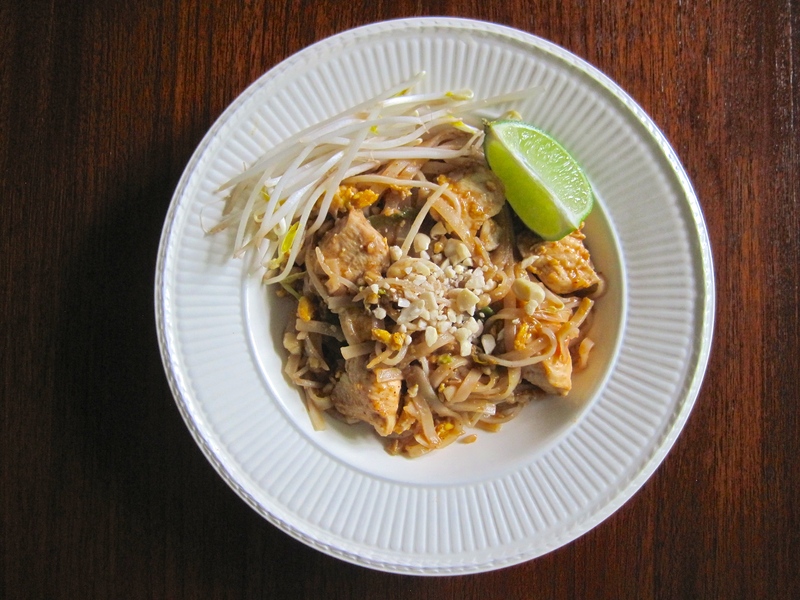 Pad Thai is an asian classic and unless you’re allergic to peanuts, you can’t go wrong with this dish. With a lack of good and affordable asian cuisine in my city, I took it upon myself to attempt making Pad Thai. It’s actually quite simple and sooooooo rewarding. Bean sprouts, scrambled eggs, peanuts and limes….. mhhmmmmm! After my no-bake Nutella cheesecake heaven, I decided to attempt the same idea with peanut butter. Why peanut butter? BECAUSE IT IS AWESOME! It’s my replacement Nutella and definitely kept me going this past Lent. 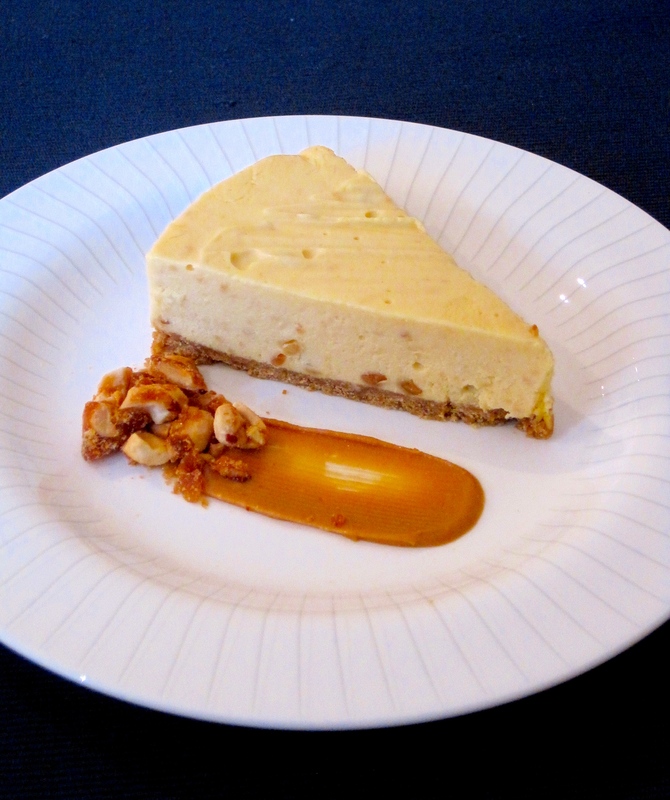 And because I tried an amazing PB cheesecake at my local GOAT and, being a foodie, had the immediate urge to re-create. This was actually my second attempt after having failed miserably the first time round. After my initial freestyle recipeless experiment I learnt my lesson and decided to actually follow a Hummingbird recipe as guidance. Of course I had to add a touch of MasterChef garnish with a PB smear and some peanut brittle :-). Success!